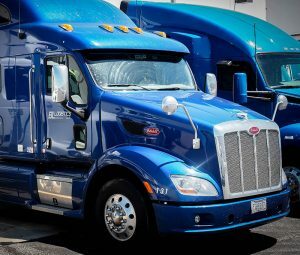 Our drivers appreciate the newer trucks with amenities like larger bunks, leather seats, and in-cab refrigerators. Our customers appreciate the reliability of our equipment, fewer breakdowns and the assurance that their freight will arrive on-time. ★ Our fleet consists of mostly Kenworth 680’s along with some Peterbilts and Volvo day cabs, each of which gets cycled out every 4 years. ★ Our trailers are primarily Wabash and Utility and come in both dry van and reefer services and those get cycled out every 5 years. ★ We are constantly evolving our fleet and equipment to ensure they run smoothly and without any issues.